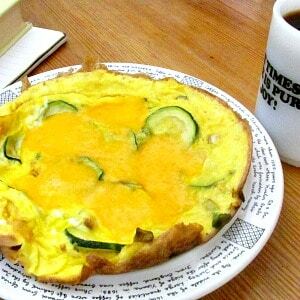 Fast and easy, frittata makes a perfect quick meal for one or two people, when you don’t have time to cook. Forty years ago, sometime this week, my father drove up to a dorm, we unpacked the car, and I moved in. This wasn’t anything new or remarkable. I was a junior, after all. I had the same roommate as the previous year, I knew where my friends were, where my classes would be and who would teach them, I could walk into the department offices for my major and minor and be greeted by name. I had this college thing down. 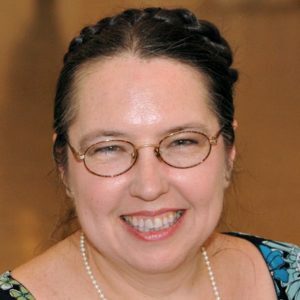 But there was a box I hadn’t had the year before – with a soup pot, and a frying pan, and a cutting board… And when the room was mostly set up, Mom and I got back in the car, and drove to a supermarket. 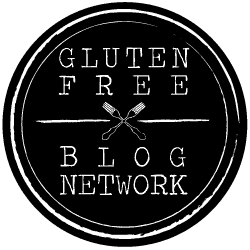 That began the journey that led me to this blog. Since that day, I am the person primarily responsible for my own food. Mind you, I did live with my parents again for a few months at a time, and I have shared cooking with roommates (I did not, that year, but I did the next.) In the end, though, it has been my job to feed myself and sometimes others. I learned many things, starting that day at the supermarket, where I found that Ohio used different terms for cuts of meat than New York did. Mom told me “If you don’t know something, ask the person behind the counter, or another shopper, and they’ll be glad to help.” and they always have been. (She added “They’ll just think I didn’t raise you right, to not know that, and I don’t mind.” I love my Mom!) I still ask people sometimes – and I have in turn answered many questions, particularly at the farmer’s market! Always ask if you’re not sure about a food – I find people are very helpful. And I loved to make it a full meal, vegetables included. I started cooking fresh vegetables in college. The supermarket had a much better fresh produce section than the one in the neighborhood where I grew up, and I had almost no freezer space, but a nice cool windowsill which turned out to be perfect for fresh vegetables. 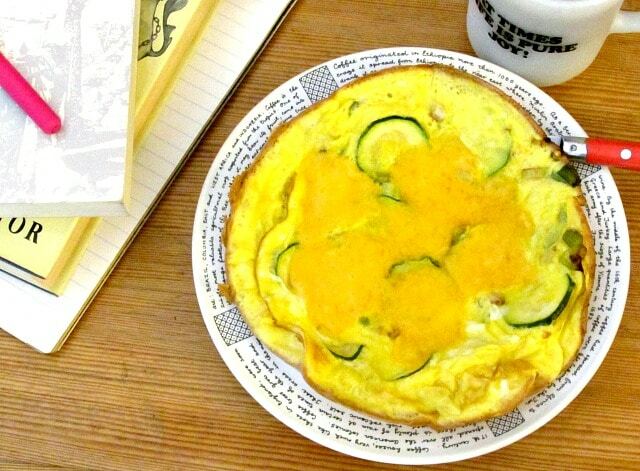 That’s when I discovered zucchini, scallions, bell peppers… The vegetable frittata and a few pieces of toast, and I was satisfied and ready to go. Take a small but nice and heavy oven proof fry pan (the steady heat of the electric stove was actually an asset in this recipe!) and put it over medium heat for a few minutes to heat the pan. 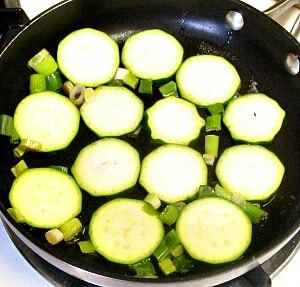 While it is heating, chop one or two scallions, and thinly slice some zucchini. (I used half a small one, here.) Add a little butter to the pan – less than a teaspoon should be enough. When it has melted, add the scallions, stir them around, and add the zucchini. Note: these were the vegetables I most commonly used, because they cook quickly and I usually had them on hand, but you can easily vary them. Regular onions are fine, but take longer (unless you have frozen cooked ones.) I love mushrooms in this! 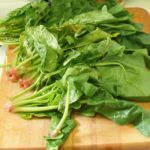 And it’s a great way to use leftovers – a dab of cooked greens, for instance – or frozen peas or green beans, if that’s what you have. Just make sure that whatever you use cooks fully, and that any moisture is driven off, or the eggs won’t set right. Anyhow, let your vegetables cook until they are pretty much cooked through – they won’t really cook much after you add the egg. 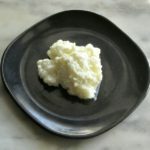 While they cook, beat three eggs in a small bowl until frothy – you can just use a fork for this. Once the vegetables are tender cooked, pour the beaten egg over them, and let it all sit and cook undisturbed. Now, this step is optional, but it does speed things up. Once you see that the bottom of the egg is completely set, and the edge is quite firm, you can use a spatula to loosen the edge and lift it in places. Then let the uncooked egg run under the cooked layer, so that it cooks faster. 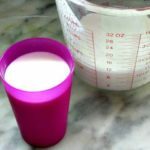 It’s not as pretty as letting it cook undisturbed, and it’s a bit more fuss, but it can save a few minutes, if you are in a rush. This is a single serving, but the recipe can be easily multiplied for two or more – just use a larger pan. 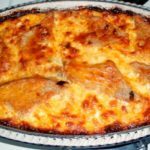 And it’s a great dish to divide, as one of several small dishes at a meal, so this could serve two, with bean salad, for instance, alongside. Perfect for casual invitations, as we so often did in college – I planned soup, but if she’ll come study with me (and bring her notes from the day I was sick!) 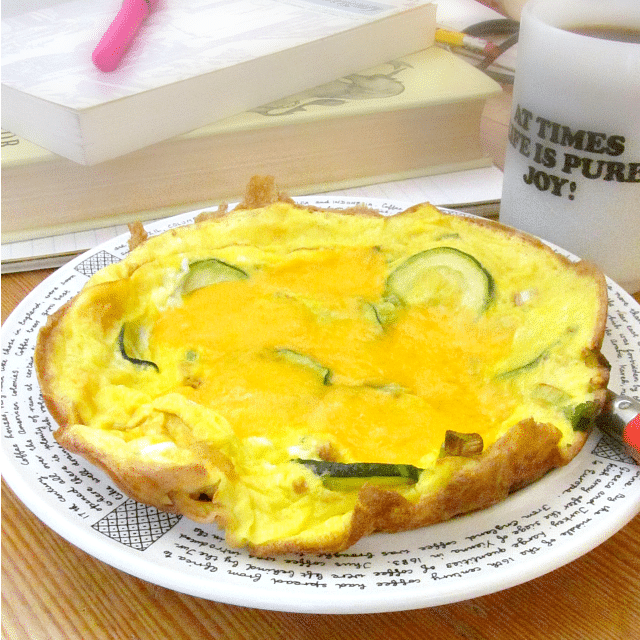 we can each have a cup of soup and a slice of frittata! Doesn’t that sound good? 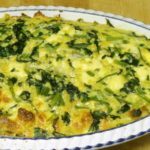 Fast and easy, frittata makes a perfect quick meal for one or two people, when you don't have time to cook. Place a small ovenproof frying pan over medium heat, to start heating the pan. Trim and chop the scallion, and thinly slice the zucchini. Melt the butter in the pan. Add the scallion and stir. 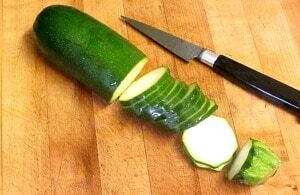 Add the zucchini, in an even layer. Beat eggs in a small bowl. 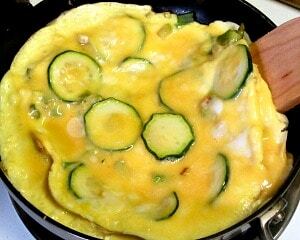 When the zucchini is tender, pour the beaten egg over it in the pan. Let it cook undisturbed until the bottom is set. Optional step: Use a spatula to loosen the edges, and let the uncooked egg run under the cooked layer, to speed up the process. Let that cook until set. Slice the cheese. When the egg is mostly cooked, but the top is still runny, place the cheese over it and put the pan under the broiler. Let cook 2-3 minutes, until cheese is melted and egg is fully cooked to your liking. 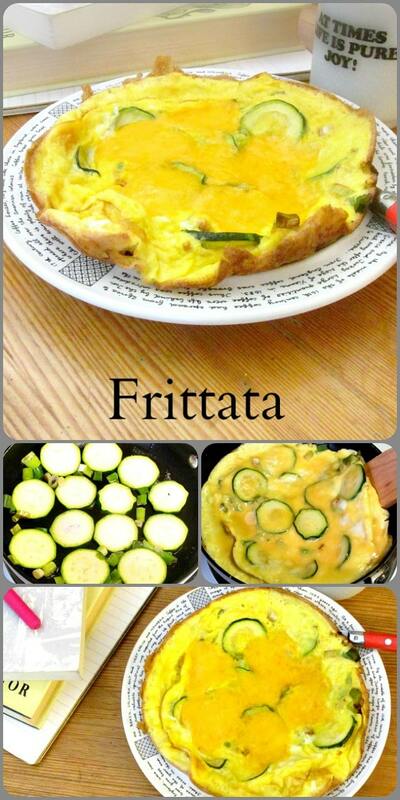 Frittata can be served hot, warm, or even room temperature. Well that does sound like a fast and easy frittata!! Love the few ingredients! Thank you! I want to remind people that we can throw wonderful meals together quickly, without opening a can or package, because sometimes we need to... And most of us really know how, we just forget our options. I love a good frittata and this sounds spot on... Totally with you on the reheated food thing too and often find that it tastes better on day two than it does on day one. Reheating a stew, chili or curry seems to allow the flavours to marry and mingle a little more giving a beautifully rounded flavour. Thank you! Oh, yes. They tasted wonderful, and were so comforting, too. 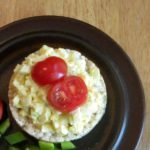 So many of my friends who were off board that year were subsisting on hot dogs and burgers - I ate meals, without really spending more time in the long run, since so many were either reheated, or something like the frittata. I love quick and easy meals! I personally don't eat eggs any more, but when I did they were my go-to when I wanted to whip something up quickly too :) Totally get you on the reheated food thing. 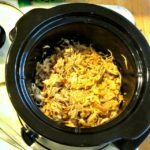 I love to make a curry or a chilli and leave those overnight especially - the flavours get so much better the next day! I must say, eggs are handy - but they're not the only quick food option. I'd love to hear what you do now! Well, that's the great thing about all those long simmered dishes - they reheat beautifully and just get better. 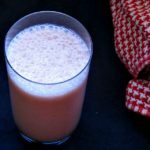 There is a reason almost every culture has classic recipes like that! That's how my perfect breakfast looks like. Well, I would add some prosciutto, because I can't live without meat, but thanks for the idea! Thank you! And go for it... I add ham, sometimes, or start by browning a little sausage... But you can always add. It's good to know, though, that you don't have to start there. You can have a fast and easy meatless meal any time you want. 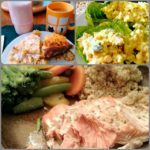 I think many people would love a fast and easy meal! We all need one, sometimes! (And many of us do pretty often...) Cooking does not have to be complex. Many good meals can be prepared quickly, and we need to remember this. What a wonderful story Anne. I love to read about how bloggers arrived at their destination. To this day eggs are my go to meal, and now I have a new recipe to enjoy. Thanks! This, of course, was only the beginning - it's been a long winding road. LOL But yes, it can be very interesting to see how someone came to a way of cooking. And do enjoy it! Thank you! Oh, we all do... I hope you enjoy it! I have so much zucchini growing this is perfect. Oh, terrific! (And you can certainly use more than I did here... LOL) Enjoy it! It's so handy when you're busy - and more so when the family loves it! Thank you, and enjoy it! I love this post! I'm passing it on to some college students I know. Thanks. Oh, excellent! Even when I was on the board plan, it was good to have a few options. (For instance, the dining hall was still closed the last night of vacation. Those of us who had to travel any distance were back in the dorms that evening. We still needed to eat...) I hope this helps them!